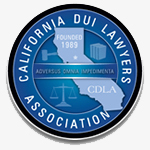 DMV & DUI License Suspensions in California. 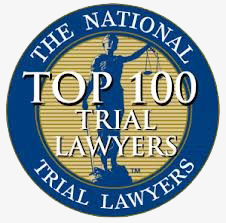 Amy Morell DUI Attorney will Help. 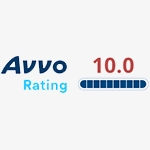 If you have been arrested for a DUI in California, you have 10 days to request a DMV Hearing. If a DMV hearing is not requested, your driver's license or privilege to drive in the state of California will be suspended. The stakes are high - have your case handled properly with an Attorney with over 19 years experience and is familiar with all aspects of your case. After a hearing is conducted, the DMV will mail a decision in 2-3 weeks. If the decision says “Set Aside,” the hearing was won. This means you will not suffer any suspension as a result of the DMV hearing. Please keep in mind that your license could still be affected by the court outcome. If the decision says, “Suspension,” the hearing was lost. However, you may be eligible to receive a restricted license. Starting in 2019, all persons arrested January 1, 2019 or later are eligible to get a restricted license on a first time DUI offense where a chemical test was voluntarily obtained and no injuries happened WITHOUT serving any actual suspension time. 1. Get enrolled into a 3 month, Level One, DUI school. Go to www.dhcs.ca.gov/individuals/Documents/DUI_dir.pdf to find a school near you. An appointment to enroll should be made one week before you are eligible for the restricted license. The school files the proof electronically with the DMV. No paper proofs of enrollment are accepted at the DMV. 2. Obtain an SR-22 form from a car insurance company. This can be obtained from any car insurance company - not just the one you are currently with. We recommend Breath Easy Insurance at 949-529-5060 because of their exceptional customer service. However, you may call any insurance company you wish. The proof is electronically filed with the DMV. 3. Install an Igintion Interlock Device (IID) in your car. 4. Make an appointment online with the DMV at www.dmv.ca.gov. You can call the DMV at 916-657-6525 to make sure the above proofs are on file. Go to the DMV and pay $125.00 to get your restricted license. Different rules apply for refusal cases at the DMV hearing. On a first time DUI refusal, you are looking at a suspension on your license for one year. This means no driving at all. There is not an option of having a restricted license. Thus, it is very important to set a DMV hearing and try to win the hearing to avoid the one year suspension. Question: What is an IID? Answer: An IID is a device wired to a vehicle's ignition that requires a breath sample from the driver before the engine will start. If the device detects alcohol on the breath, the engine will not start. As the individual drives, the device will request periodic breath samples to ensure continued absence of alcohol in the driver's system. For additional information regarding IIDs, refer to the DMV's website at www.dmv.ca.gov/pubs/brochures/fast_facts/ffdl31.htm. Question: What is the purpose of the IID pilot program? Answer: The intent of the law is to reduce the number of driving under the influence (DUI) offenses and provide DMV with data that can be used to evaluate the effectiveness of an IID in reducing DUIs. Question: What are the requirements of the IID pilot program? Answer: The IID pilot program requires all individuals convicted of a DUI in one of four California counties to install an IID on every vehicle they own or drive, provide DMV with a Department of Motor Vehicles Ordered Verification of Ignition Interlock (DL 924) form, pay a $45 administrative service fee (ASF), and meet all other reinstatement requirements before DMV can reinstate, reissue, or restrict their driver license. Question: Which four counties are involved in the IID pilot program? Answer: The pilot program includes: Alameda, Los Angeles, Sacramento, and Tulare Counties. Question: How do I know if I need to install an IID? Answer: The DMV automatically mails an Order of Suspension or Revocation notice along with a DUI IID Insert or an Order of Installment of an Ignition Interlock Device when the department receives notification of a conviction for a DUI violation under California Vehicle Code (CVC) §§23152 or 23153 or Penal Code (PC) §191.5(b) which occurred in one of the pilot counties on or after July 1, 2010. The notice provides you with information about the IID pilot program and driver license reinstatement requirements. Question: I do not live in a pilot county. Does the law apply to me if I get a DUI in a pilot county? Answer: Yes. All offenders who are cited and convicted of a DUI violation in a pilot county are required to install an IID. The pilot is based on the county of citation and conviction, not the offender's residence address. For example, if you live in Shasta County (non-pilot county), receive a citation for a DUI violation in Alameda County (pilot county) and are subsequently convicted— you are required to comply with this law. Refer to Question 3. Question: My DUI violation occurred in Los Angeles County on April 1, 2010; however, I was not convicted until July 15, 2010. Will I be required to install an IID? Answer: No. 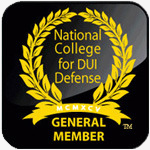 Only DUI violations occurring on or after July 1, 2010, are subject to the new law. Question: I live in a non-participating county and was cited and convicted of a DUI violation in an IID pilot county. Do I have to travel to that county to have the IID installed? Answer: No. You may contact a local installer to have your IID installed. Question: This is my first DUI conviction. Is the IID installation only for multiple offenders? Answer: No. The pilot program requires all DUI offenders, including first offenders, to install an IID if the violation and conviction occurs in one of the four pilot counties from July 1, 2010, through December 31, 2015. 10. Question: I am a first-time DUI offender. When the IID is installed, will I have a restricted driver license such as, to drive to/from work and to an alcohol program? Answer: No. If you are a first-time offender with a conviction under CVC §23152, once the DL 924 is provided, the $45 ASF is paid, and all other reinstatement requirements are met, you are eligible for an IID-restricted license with unlimited driving privileges. 11. Question: I am a first-time DUI offender. What happens to my driver license after the five-month mandatory IID restriction period ends? Answer: At the end of the five-month mandatory IID restriction period, you may have your IID removed by a certified installer. The department will automatically remove the IID restriction from your driving record and impose a restriction that only allows you to drive to/from/during the course of your employment and to/from an alcohol treatment program, until your original DUI suspension period ends and you provide a Notice of Completion Certificate (DL 101). 12. Question: What option do I have to continue unlimited driving if I am a first-time DUI offender and have served the five-month mandatory IID restriction period, but still have reinstatement requirements that I have to meet? time DUI offender and received an Administrative Per Se (APS) suspension for the DUI arrest? Answer: If you are a first-time DUI offender convicted under CVC §23152 and received an APS suspension, you must serve 30 days of the APS suspension before you are eligible to install an IID and obtain an IID-restricted driver license with unlimited driving privileges. Question: Where can I get an IID installed? 􏰀 Visiting DMV's website at www.dmv.ca.gov/vehindustry/ol/forms/ignitioninterlockdevicelist.htm. 􏰀 Calling DMV at 800-777-0133. An agent will mail or fax you a complete list of IID manufacturers. If you cannot wait for the mailed list or do not have access to a fax machine, ask the agent to give you the name and telephone numbers of all IID manufacturers on the list. 􏰀 Visiting a field office. The complete list will be printed for you. Question: I cannot afford to install an IID. Are there any low income programs? The IID provider absorbs the remaining IID cost. NOTE: The fee schedule above applies only to offenders whose DUI offense occurred in one of the four pilot counties between July 1, 2010, and December 31, 2015. 16. Question: How long will I have to maintain an IID? Answer: The term of the DMV-ordered IID restriction period is based on the initial DUI offense and the number of DUI-related offenses you have within the prior 10 years. Specific IID installation terms are as follows. NOTE: Wet/reckless convictions of CVC §23103.5 are not considered a prior conviction when determining IID restriction terms. 17. Question: I was convicted of a “wet/reckless” offense in Alameda County that occurred on September 15, 2010. Will I be required to install an IID to get my driver license back? PC §191.5(b) that occurred in one of the four pilot counties on or after July 1, 2010, are subject to the new law. However, the “wet/reckless” conviction will count towards enhanced penalties for any future DUI-related convictions. 18. Question: Why didn't the court tell me that I needed to install an IID to get my driver license back? Answer: The new law mandates the DMV, not the court, to impose/monitor IID installations. 19. Question: I submitted proof of IID installation to the court; however, the DMV will not give me my driver license back. Answer: You or the IID installer, not the court, must provide the DMV with the Department of Motor Vehicles Ordered Verification of Ignition Interlock (DL 924) form. IMPORTANT: If the court ordered an IID installation, you must also provide the court with the appropriate proof of installation form. 20. Question: I provided the DMV with a DL 924 form, but the DMV will not give me my driver license back. Why? Once you comply with all reinstatement requirements, the DMV will restrict you to drive only vehicles equipped with a certified IID (in addition to any other applicable restrictions) until your specified IID restriction ends. 21. Question: What are the maintenance and calibration requirements once an IID is installed? Answer: Pilot program participants must arrange service with the installer for each of the vehicles with an IID at least once every 60 days. When the vehicle is serviced, the installer recalibrates and monitors the operation of the device. Under CVC §23700, an IID installer must notify DMV if the device is removed or if there is evidence that you attempted to remove, bypass, or tamper with the device; or if you fail three or more times to comply with any requirements for the maintenance or calibration of the IID. 22. Question: What happens if the installer reports an IID non-compliance to the DMV? Answer: If at anytime during your restriction period (after the DL 924 form has been provided) the DMV receives notification from the installer that you failed to comply with any of the IID requirements, DMV will “pause” the IID restriction. You will not be given credit toward your IID restriction period for any period of time during which you do not have proof of IID installation on file with the DMV. Your IID restriction termination date will be extended each time you fail to comply. A notice will be mailed to you confirming receipt of non-compliance from the IID installer and you will be informed that your IID restriction was paused. 23. Question: How do I go back to an IID restriction after a period of non- compliance? Answer: Following a notice of non-compliance, you must provide a new DL 924 form to DMV. Upon receipt of the new DL 924, DMV will “reset” the IID restriction and impose the remainder of your IID restriction period. You will be notified in writing of your new IID restriction termination date. Question: What happens if I don't own a car? Answer: The law allows you to request an exemption from IID installation. The Exemption for Ignition Interlock Device (IID) (DL 4055B) form is included as an insert with all DUI suspension or revocation notices mailed to offenders in the pilot counties. The form must be submitted to a DMV field office or mailed to the Driver Licensing Mandatory Actions Unit (DLMAU) within 30 days of the suspension or revocation notice mail date. 􏰀 no longer have access to the vehicle used when the DUI offense occurred. gain access to a vehicle. DMV will only approve signed exemption requests that are submitted within 30 days of the suspension or revocation notice mail date. Upon receipt, DMV will verify if you qualify for the exemption and notify you in writing of your eligibility. IMPORTANT: If the exemption is granted, an IID restriction will still be imposed on your driving record but the $45 ASF payment will not be required. 26. Question: Why was an IID restriction placed on my driver license when I was approved for an exemption? Answer: When you submitted the exemption form DL 4055B for approval, you agreed to drive a vehicle that has a properly installed IID. Refer to Question 25. Question: I own a car that is not currently running. Can I still get an exemption? Answer: No. You do not qualify for an exemption if you own a vehicle(s) that does not run or has an approved planned non-operation (PNO) on file. Question: I drive for a living. How does this new law affect my employment? Answer: Any DUI offender in a pilot county who is required to operate a motor vehicle owned by his/her employer during the course of his/her employment, may operate the vehicle without installation of an approved IID, if the employer has been notified that the employee's driving privilege is restricted pursuant to CVC §23700. Upon request, the DMV will provide you with a Notice to Employer (DL 923) form for your employer. You must keep proof of the employer's notification in your possession or in the vehicle. 29. Question: I have a commercial driver license (CDL). Will I be required to install an IID? 􏰀 allows you to drive personal vehicles equipped with an IID. —any commercial vehicle registered in your name which is not equipped with a certified IID. —vehicles registered to the employer unless the employer has been provided with a DL 923. 30. Question: What happens if I do not comply with IID installation? Answer: If you do not provide the DMV with a DL 924 or pay the $45 ASF, you will not be able to reinstate your driving privilege. If you drive while suspended or revoked and are stopped by law enforcement, your vehicle may be impounded and you may likely be convicted for driving on a suspended/revoked driver license. The conviction will result in the assessment of two negligent operator points, and your IID restriction term will not begin until you file proof of IID installation. The restriction will not end until you complete the required restriction period. 31. Question: What happens if during my IID restriction period I drive a vehicle that is not equipped with an IID? Answer: If you are stopped by law enforcement during your IID restriction period and the vehicle you are driving is not equipped with the IID, you will be cited and subsequently convicted for driving in violation of your IID restriction.